You can imagine preparing for a 3-Way IPA requires quite a bit of finesse. This summer seasonal is built to be the best IPA that Fort George and a couple of good friends can brew. But first many questions must be answered. Which hops should be used? What’s the target OG? Where to throw the first 3-Way IPA release party? And does this can color match my hat? Before any test batches can be brewed or events can be planned, bread (or more specifically naan) must be broken. Join Fort George on Wednesday, January 20th for the annual IPA & Indian Cuisine Brewer’s Dinner. This intimate night features five courses of wood-fired fare paired with six IPAs from the breweries in the upcoming 3-Way IPA collaboration. 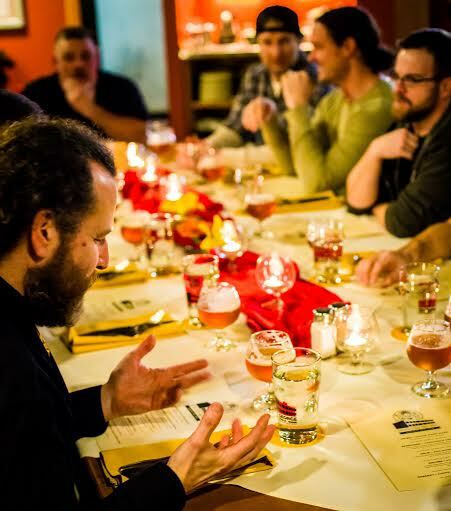 It’s your chance to rub elbows with the brewers, offer up your three cents about this year’s beer, and all the while gorge on spicy Indian food and hoppy IPAs. Reserve your seat online at store.fortgeorgebrewery.com or by calling the pub at (503) 325-PINT. $65 saves a single seat, or reserve two or more for $60 each. Seating is very limited. Intro beers will be served at 6pm. And look for test batches of 3-Way IPA 2016 (A.K.A. Beta IPA 11) starting in March.